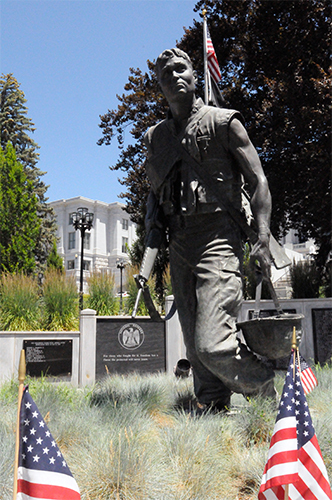 This memorial honors veteran soldiers from Utah who served in the Vietnam Conflict. It lists 388 names of men and women who died or went missing in action. The bronze of a soldier was sculpted by Clyde Ross Morgan and the circular wall was created by Mark Davenport.